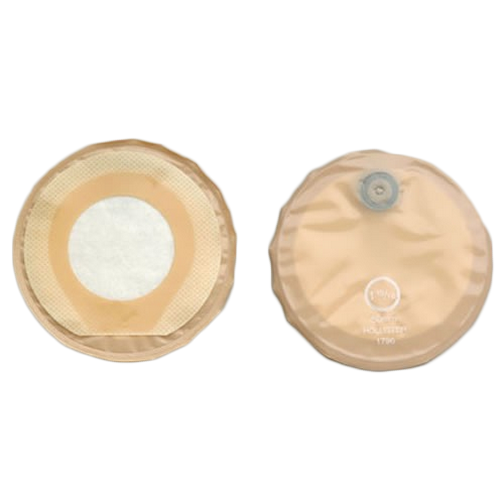 Contour I Stoma Cap is designed to provide the ultimate in comfort. It's almost like not wearing a pouch at all. Odor barrier, rustle-free film is soft and silent. Protects the skin, yet is gentle upon removal. SoftFlex skin barrier with tapered edges eliminates the need for tape. Discreet pouch shape and size. I have a urostmy would this product work with this? I also have Medicare and AARP United Health Care Supplemental insurances would they cover this item? We cannot make any recommendations regarding items sold at Vitality Medical because we do not employ any medical professionals. Regarding insurance, we do not work directly with any insurance companies because we are an online retailer. If you are looking for reimbursement, you will need to place the order through our website and then call your insurance agency afterward.